With the pilot phase complete, Australia’s national Bariatric Surgery Registry has officially launched. The registry aims to collect data on all bariatric procedures performed across Australia and New Zealand, in a bid to not only monitor safety, but also the long term efficacy of weight loss surgery. Obesity is one of the major public health issues facing Australia. It has proved difficult to prevent and according to the latest Australian Health Survey, a whopping 28.3% of Australians are currently obese. A worrying trend that governments, dietitians, and all health professionals are struggling to contain. The problem with obesity is the fact it is linked to, and contributes to, many other conditions, including: type 2 diabetes, high blood pressure, obstructive sleep apnoea, infertility, depression, and 10 of the most common cancers. According to the Bariatric Surgery Registry, "bariatric surgery is burgeoning in Australia. In 2014 there are expected to be more than 12,000 such procedures performed at a direct cost of $200 million." Yet, while more and more overweight and obese Australians turn to weight loss surgeries such as gastric sleeve, gastric bypass, gastric banding, until now there’s been no evidence based guidelines dictating who should be offered these surgeries, nor any long-term community data documenting the efficacy and safety of the procedures in Australia. 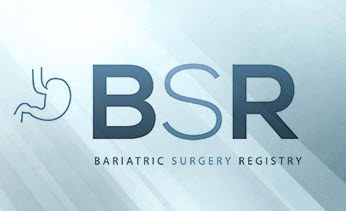 With the launch of the Bariatric Surgery Registry, this is all set to change. The primary aims of the registry are to measure patient outcomes, and ensure the safety of bariatric procedures. Its formation has the complete support of the Obesity Surgery Society of Australia & New Zealand (OSSANZ), "which regards the registry establishment as an important step forward in monitoring and evaluating patient outcomes across Australia." The registry will collect information on patient weight loss, change in diabetes status, and problems related to bariatric surgery. However, there is an opt-out clause for patients who would prefer their data to be kept from the confidential registry. Our clinic is an enthusiastic participant in the Australian national Bariatric Surgery Registry. Research points to bariatric surgery being a safe weight loss alternative for those who’ve failed with diets. However, the creation of a national register will provide increased confidence to patients, surgeons, hospitals and the wider community that bariatric surgery is safe and effective.